Thanks to our meeting hosts! 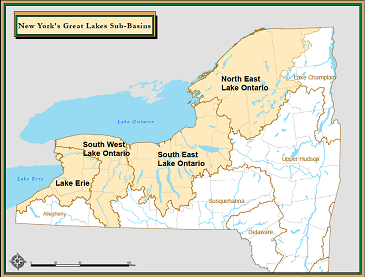 All NYS Great Lakes stakeholders are invited to participate — including environmental orgs, academic institutions, state and federal agencies, local government, individuals and other diverse stakeholder groups (business, health, recreation, planning, etc). Please let us know if you can make it! RSVP to greatlakes@dec.ny.gov at least one week in advance of the meeting you plan to attend. Please indicate which work group meeting you’ll be attending. This year, Monroe County’s 8th annual Pick Up The Parks is a series of clean-up events that will be taking place over 7 consecutive Saturdays; from April 1st through May 13th. 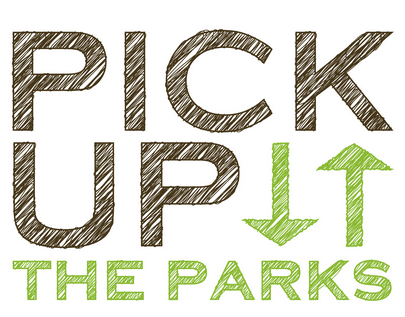 Day #1 of the 8th annual Pick Up the Parks kicks off this coming Saturday, April 1st at Northampton and Greece Canal Parks only. For more Info & details, additional dates/parks, and online registration, visit http://www2.monroecounty.gov/parks/PickUpTheParks. This year, OCWC has a conflict with the assigned April 15 hosting date for the Oatka Creek Park, as we are going to be marking storm drains in the Village of LeRoy! If you are interested in hosting the pick-up for Oatka Creek Park on the 15th, please contact Ryan Loysen! 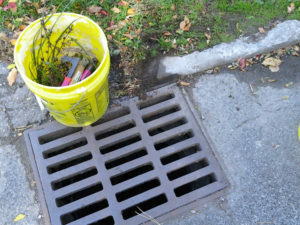 Come and help OCWC finish installing markers on storm drains around the Village! It’s fun & easy, and helps remind folks that what goes down the drain, ends up in the Oatka Creek. Thanks to a generous grant from the Vic Blood Foundation, we have been able to buy the remaining supplies we need to finish the job! We will be meeting April 15 – the Saturday right before Easter – at 8:30 AM in the parking lot behind the LeRoy United Methodist Church (off Trigon Park). We will be working until Noon. We have all the supplies, so just bring yourself and wear comfortable shoes! Rain date is Saturday, April 29. Same time and place. We’ll keep you up to date on any news of the event on the blog or on our Facebook page. For Information on the WAVE program & training for the Oatka Creek Watershed area, you can contact Pete! The New York State Department of Environmental Conservation (DEC) announced today that DEC is actively recruiting volunteers for the 2017 summer sampling season to conduct water quality assessments in nearby streams and rivers as part of the Water Assessments by Volunteer Evaluators (WAVE) project. WAVE data are used to augment the work of DEC’s Stream Biomonitoring Unit, which samples streams and rivers across the state to create an inventory of stream water quality. Volunteer monitors provide valuable information to assist in identifying healthy streams and flagging streams with potential water quality concerns. These data are included in federal and state water quality reports and help to target professional assessments and local restoration or conservation efforts where they are most needed. Volunteers visit stream sites once per year, between July and September, and collect macroinvertebrates-insects and other small organisms-from the rocks and rubble on the stream bottom. If six or more of the “Most Wanted” organisms are found, the stream segment is assessed as having no known impacts and fully supporting aquatic life. If mostly “Least Wanted” organisms are found, the stream segment is flagged for possible investigation by professionals. Serving as local coordinators that coach and coordinate their own team of WAVE participants. Local coordinators must attend a full-day training to participate. Sampling independently. Independent samplers must also attend a full-day training. Joining a local team lead by a WAVE local coordinator. No training is required for this option. 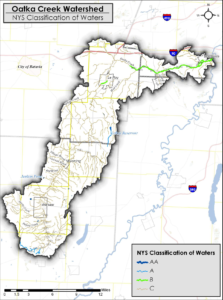 WAVE training sessions are rotated throughout the state’s 17 major drainage basins on a five-year schedule, targeting those basins that will be sampled by the DEC Stream Biomonitoring Unit the following year. For additional information, refer to the professional monitoring schedule on DEC’s website. This year, WAVE training sessions are being offered in the Susquehanna River, Lake Champlain, and Atlantic Ocean/Long Island Sound basins. For more information or to register for a training session, contact the WAVE Coordinator Alene Onion by email: wave@dec.ny.gov. It’s already March! Even in the cold winter months there has been a lot going on, so there is much to report and the OCWC is already filling up our calendar with activities for the spring. There are also lots of interesting and valuable workshops to look forward to. • To kick off the year, we welcomed Jennifer Keys to the role of Treasurer on our Executive Board. Good to have you aboard, Jennifer! And a big thanks to outgoing Treasurer, Jim Seiler, for all his terrific work over the last few years! • OCWC Vice Chair and retired biology professor, Maureen Leupold, has been appointed to the Board of the Monroe County Soil and Water Conservation District. Congratulations, Maureen! We are sure her skills will be appreciated by the SWCD! • We were saddened by the passing of founding member and always good friend to the Committee, Tom Frey, on February 11, 2017. 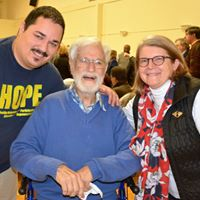 Tom, who previously served as Monroe County Executive, also served a critical role in helping our Committee in its initial incorporation as a non-profit organization and in achieving its 501 (C) (3) status as a tax exempt organization. 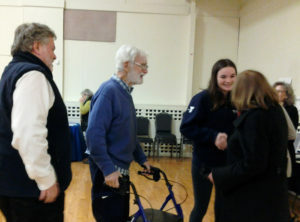 Fortunately, some members of our Board of Directors were able to get to see Tom in January when they attended the “Frey Day” celebration of Tom and his achievements organized by the Genesee Land Trust. 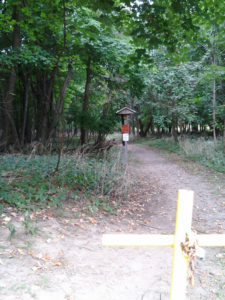 Tom’s last project was to lead the development of the El Camino recreational greenway trail in Rochester, a rails to trails project. 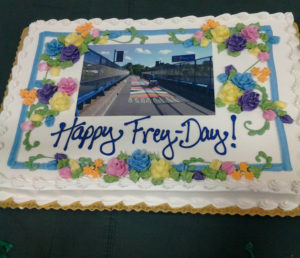 In honor of Tom, the trail was renamed The Thomas R. Frey Trail at El Camino. He will be missed by many. • There have been some major changes in the NYDEC Trees for Tribs Program for our region. Wyoming County SWCD will no longer serve as the Genesee River Basin regional coordinator for the program and the contact for 2017 projects will be Sarah Walsh, NYS DEC Trees for Tribs Coordinator in Albany. Given its own responsibilities to provide services within Wyoming County, SWCD decided that it could not meet the new planting deadlines and increased number of monitoring visits that would be required for projects within a four county area. We appreciate the hard work and dedication Wyoming County staff had shown in 2015/2016 for the many, many projects they coordinated. • There have been some water quality changes for portions of the Oatka Creek. DEC has updated the impairment status for waterbodies in the Genesee River Basin based on data collected from the most recent RIBS sampling (2014 through 2016). To find the new data for the Oatka, follow the links at http://www.dec.ny.gov/chemical/36744.html. These updates also include WAVE data collected in the same period and also in 2013. This is a significant update and it should be noted that now sections of the Oatka Creek are rated ‘impaired’ – this means they have well documented water quality problems that prevent or limit their designated uses. The changes in impairment status are in sections that go from where Pearl Creek flows into the Oatka to where Mud Creek enters (basically Pavilion through LeRoy). Impaired uses are: Recreation and Aquatic Life. The types of pollutants found contributing are: Algal/Plant Growth and Nutrients (Phosphorus). The cited causes are: Known sources: Agriculture, Municipal STP (LeRoy), and Septic Systems (Pavilion). In addition to septic systems in the Hamlet of Pavilion, there is a small community wastewater treatment plant, whose discharge pipe is located about 1700 feet upstream of DEC’s RIBS sampling located near the Rte. 63 (Ellicott Street) Bridge. Because the size of the LeRoy Wastewater Treatment Plant, it now has a seasonal (May 1 – October 31) effluent limit for Total Phosphorus of 1.0 milligram per liter (mg/l). Newer, stricter limits that are being phased in should result in phosphorous reductions which will help boost water quality. Targets for meeting reductions by 2019 for the smaller Pavilion facility are considered under guidelines in the NYSDEC watershed management plan for the Genesee River Basin (2015), which should further help. Additionally, some of this change could be due to the fact that screening sites were added, but we still have our work cut out for us. 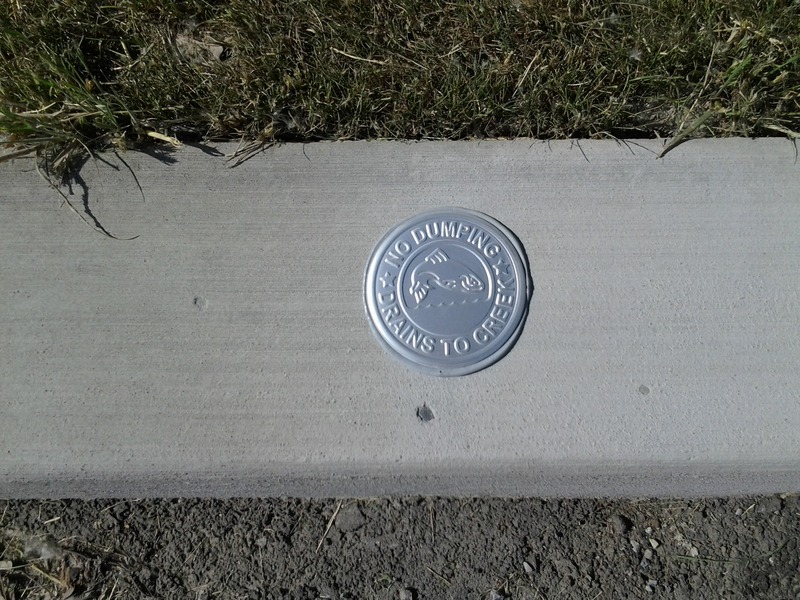 • Thanks to a generous grant from The Victor L Blood and Maudaline L Blood Charitable Foundation of LeRoy, we have enough funds to complete the storm drain marking program in the Village of LeRoy. The date will be April 15 (Easter weekend), with a rain date of April 29. We are looking for volunteers to help with this really fun, friendly & easy project. We’ll post more information as it becomes closer to the event date. For now, if you are interested in helping out, contact Pete at lent@frontiernet.net or call him at 585-538-2223. Families welcomed and encouraged! • Though the official date has not been confirmed yet, OCWC will most likely be again hosting the clean-up in Oatka Creek Park in Scottsville during Monroe County Parks “Pick Up the Parks” event this year. Usually the event is held around Earth Day (April 22). We’ll post more info when we have it! 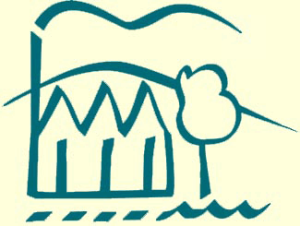 •April 27 will find OCWC volunteers helping with a Brush Clean-up along the Oatka Creek at the Genesee Country Village & Museum Nature Center. This event is in preparation for a Trees for Tribs planting event on May 6th. 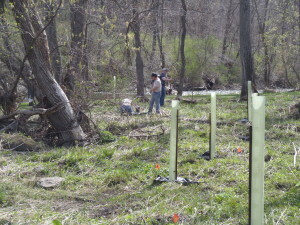 Volunteers are needed to help clean up the area so 250 trees and shrubs can be planted along the Creek to replace ash trees destroyed by the Emerald Ash Borer. If interested in helping on either event, contact Melissa Marszalek at MMarszalek@gcv.org or Pete at lent@frontiernet.net . More info will be posted as the events draw near. • Come see us at this year’s LeRoy Oatka Festival on July 15th and 16th! We will have our display of “Critters from the Creek”. Stop by to chat with us! Interested in hearing what’s happening and exchanging information with other WAVE volunteers? Register on line to attend the first WAVE Workshop: From Data to Action! Not a WAVE volunteer yet? Interested? Find out more about program training at DEC’s website, or contact Pete at lent@frontiernet.net . Training sessions are scheduled for May at the locations to be determined. 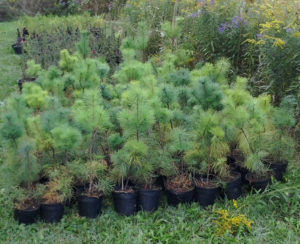 • Also, don’t forget Genesee County SWCD’s annual Tree & Shrub Sale! Order by March 31! • Genesee/Finger Lakes Regional Planning Council will be hosting their Spring 2017 Regional Local Government Workshop on May 19th. It will be at the Burgundy Basin Inn in Pittsford. They always have great informative sessions at their workshops! Register by May 10th and save money! Groundwater is a vital resource that many of us take for granted. National Groundwater Awareness Week aims to help people understand and advocate for this valuable water source. For more information on groundwaters in New York, see NYDEC’s groundwater webpage! Those who fish the Genesee River (even once) and are able to contribute observations by keeping a fishing diary for DEC can contact the Region 9 Fisheries Office at (716) 372-6372 or by e-mail at fwfish9@dec.ny.gov.